The Ice Cream Bar (Flavors by FIC) boasts of 41 unique flavors from avocado to queso (cheese) to red munggo (mung beans). A must-try is the Grasshopper Mint Chip (210 pesos or US$5), a combination of pistachio, double Dutch, and choco-mint ice cream with rich chocolate sauce and whipped cream. 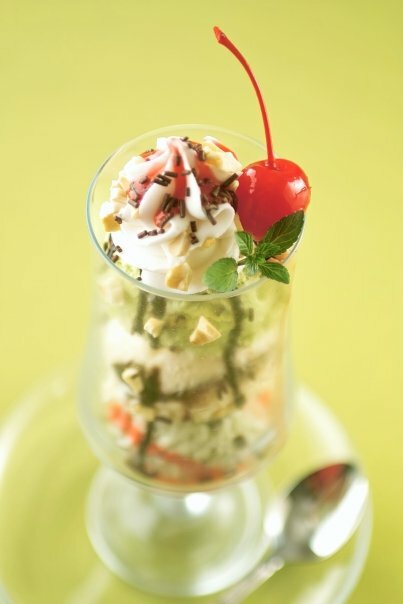 Aside from the sundaes and parfaits, the bar has Pinoy concoctions like mangga’t suman (mango and sticky rice) at 120 pesos or US$2.90, a mouth-watering combination of two suman slices and mangga’t suman-flavored ice cream, all drizzled with chocolate. Tasty sandwiches, pasta and coffee are also available. Dig in!